This article aims to investigate the Satthantaragalpa story and the era of Ariyamettraiya Buddha in the National Library of Paris edition of Traiphum by comparison with four Buddhism scriptures: Phra Tripitaka Cakkawattisutti; Anakghatawangsa Scripture; Amatarasadhara Tika Anagatawangsa; and Phra Sawaka Nibbhan Scripture. The study found that the Satthantaragalpa story and the era of Ariyamettraiya Buddha in this version of Traiphum were very similar with Buddhism scripture. This shows that belief in the Satthantaragalpa story, which is the most important story at the end of Gotama Buddha period and the birth of Ariyamettraiya Buddha and the emperor, Sankhachak, is a belief that can be found in the Ayutthaya Traiphum. The purpose of this research is to examine the narratives that portray the Buddha as an avatar of Narayana (Vishnu) (also known as the Buddha Avatar) and the narratives that portray Phra Ram as a Bodhisattva. The texts chosen for analysis include Lilit Narai Sip Pang, the Verse of Shiva Pratima, and the Dasaratha Jataka. The analysis, on the one hand, reveals that the narratives that portray the Buddha as an avatar of Narayana (Vishnu) are not widely accepted in the context of Thai Buddhism. Among various versions of Narai Sip Pang, the Buddha Avatar only appears in Lilit Narai Sip Pang and no further details are given. This concept of the Buddha Avatar is also found in the Verse of Shiva Pratima, but it appears only in the form of a counter-narrative to the belief that the Buddha is really an avatar of Narayana (Vishnu). On the other hand, the narratives that portray Phra Ram as a Bodhisattva are more generally accepted in the religious context of Thai society. It is also found that in the Dasaratha Jataka, Phra Ram, one of the Hindu deities, was revised to be recognized as the Buddha in one of his previous lives. The narratives gradually were changed to adapted Phra Ram to conform to Buddhist beliefs. 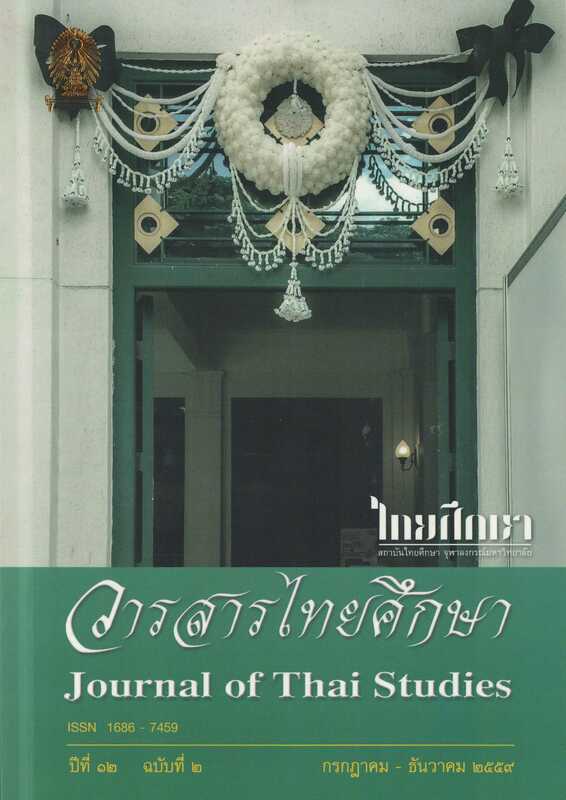 This study aims to study the linguistic devices used for the construction of nicknames of Thai entertainers and to study the relationship between the linguistic devices in the role of assigning nicknames to Thai entertainers during 2005-2015. The study reveals that there were several linguistic devices used for the construction of 112 labels during this period, namely; metonymy, assonance, puns, adaptation of words, allusions, verbal irony, metaphors, idioms, and spoonerisms. These linguistic devices relate to two roles in the assignment of nicknames to Thai entertainers. The first role is to criticize the behavior and performance of Thai entertainers. The second role is to construct, reinforce and reproduce the image of entertainers. The process – typically the selection of one event from the past year used as material for label construction – creates a nicknames of entertainers as a reminder of the event during the last year, which will continue to be used in the following year. Through social media, nicknames of entertainers are easily disseminated and preserved for repeated future searching. Keywords : label, linguistic devices, representations, Thai entertainers.